General dentistry includes treatments and services related to the health and maintenance of the teeth, gums and maxillofacial region of the body (e.g., jaw and face). General dentistry services like professional cleanings and exams are designed to prevent oral conditions that can turn into serious problems. However, dental issues can occur even with regular dental visits and diligent at-home hygiene. It’s important to have a trusted general dentist who can intervene and prevent these problems from progressing. To schedule a professional examination and cleaning with Dr. Ayoub, please call our office at (415) 781-2227. To learn more about the general dentistry services offered by Dr. Ayoub, please click on the links below. Root canals are performed to remove infected tissue (or “pulp”) from the inner root chamber of the tooth. After the chamber has been cleaned, the tooth is filled with an antibacterial material and topped with a crown to protect the tooth and add strength. Located in front of each ear, the temporomandibular joint (TMJ) is a hinge that connects the lower jawbone to the skull. The TMJ is activated by chewing, speaking, swallowing and moving the lower jaw forward, backward or side-to-side. When the TMJ malfunctions or develops problems with the muscles, ligaments, discs or bones, it is known as temporomandibular joint disorder or disease. TMD therapy can include medications to relax the muscles, night guards to decrease tooth clenching or grinding and other lifestyle modifications that can reduce symptoms. Sleep apnea is a disorder characterized by numerous pauses in breathing. These pauses can be as short as a few seconds or as long as a few minutes, and can occur 30 times or more in an hour. These cessations in breath can lead to loud snoring, snorting or choking sounds. Though sleep apnea is diagnosed by a medical doctor, dentists like Dr. Ayoub are at the forefront of screening for this condition; he can work with a team of doctors (including sleep physicians) to treat sleep apnea with therapies such as CPAP machines and specially designed oral devices that stop sleep disordered breathing. 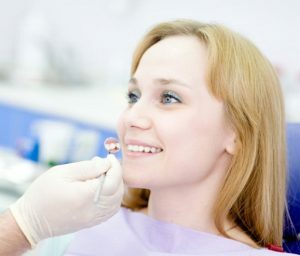 Sedation dentistry techniques are designed for individuals with fear or anxiety about dental treatment. Medications can be taken orally, inhaled or administered intravenously to induce a very relaxed, yet conscious state for the duration of dental treatment. Patients that receive sedation have no pain during treatment and little to no recollection of treatment afterward. Traditional tooth fillings were made from metallic materials that looked very conspicuous in the mouth. These metal materials also posed certain health risks. Metallic fillings can be replaced with modern tooth-colored fillings made of a composite resin. 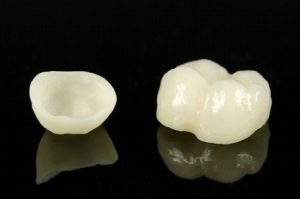 Modern tooth-colored fillings are safer and more aesthetically pleasing than their predecessors. Dr. Ayoub is committed to helping his patients maintain optimal oral health with general dentistry services. To schedule an appointment with Dr. Ayoub, please call our office at (415) 781-2227.